Max trained at the London College of Music. Recent credits Include: Marvin Camden Loserville (Union Theatre, Southwark), Featured singer (AIDA Cruise ships), Jack Jack and the Beanstalk (London Tour), Jacob Frankenstein the Metal Opera (The Space, Canary Wharf), In Vision Backing Singer Britain's Got Talent 2015 (ITV), Fenton The Merry Wives of Windsor (London Open-air Tour), Tootles Lost Boy the Musical (Charing Cross Theatre and Finborough Theatre), Arjun Arjun and the Dragon Warriors (Voice Over), Angel Tess of the D'Urbervilles (The Park Theatre, Finsbury Park), Ray 1969 Summer of Love (Nomas Events). Caroline was born and grew up in Cornwall. 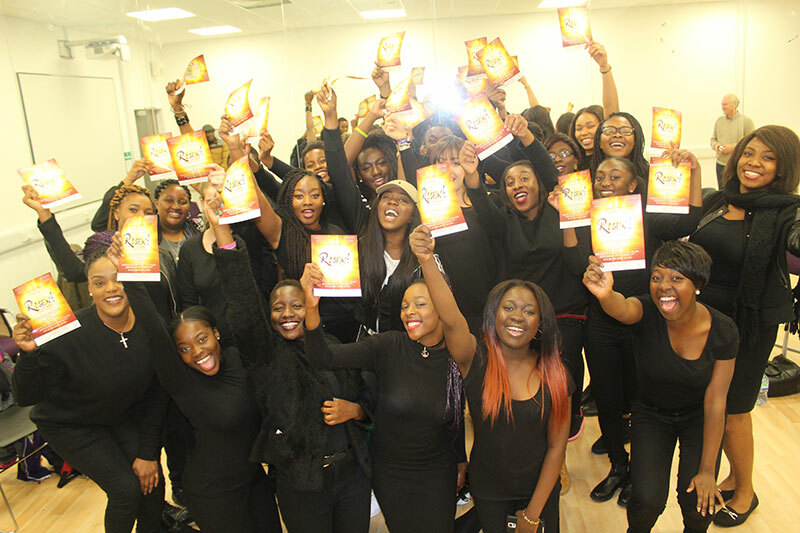 She moved to West London to study Musical Theatre at the London College of Music where she gained an Honours Degree. Caroline's credits include; The Snow Queen in The Snow Queen UK and London Tour, Lead Vocalist for Siblu Entertainments ‘Le Lac Des Reves’ Holiday resort and Greta in Metamorphosis at the Minack Theatre Cornwall. Caroline has also achieved Distinctions in LAMDA Musical Theatre Practice and ABRSM certificates in Classical Singing and Music theory. Caroline is very excited to work with such a talented cast and in such a wonderful production. 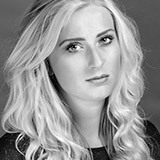 English soprano Lindsey Sara Katie Preston studied classical voice and was awarded a Bachelor of Music degree from the Guildhall School of Music and Drama in London, and is currently under the tutelage of Susan Waters. Following her graduation, she was selected to perform as a vocal artist on a six month world tour on board the Silver Shadow cruise liner. Her roles have included; Emmie in Britten’s Albert Herring (the Guildhall Music Hall), Dorothee in Massenet’s Cendrillion (Milton Court), Yuri in Michael Taplins contemporary opera, Night Music (the Silk Street Theatre, Barbican), Cosette in Claude-Michel Schonberg’s Les Miserables (schools edition) directed by Peter Polycarpou, Maria in Leonard Bernstein’s Westside Story (the Wilde Theatre) and most recently, the role of First Fairy in Mendelssohn’s A Midsummer Night’s Dream. Mikey hails from North Wales and it was here that he first played Jesus- this time in Godspell for the Theatre Colwyn Contrast Theatre Company. Mikey is soon to be graduating from London College of Music; while training he has played The Eldest Magician in Just So and Gene Gorman in Saturday Night (Watermans Theatre). In his 2nd year, he was the male recipient of the Griffiths Prize for Musical Theatre and this year was awarded the Highly Commended place in the LCM Andrew Lloyd Weber Prize for Musical Theatre. 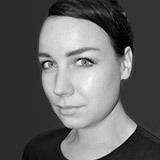 Jodie is from Norwich, Norfolk and moved to London in 2011 to study at the London College of Music. 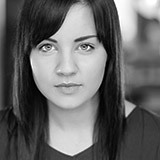 She graduated last summer with a BA (Hons) Degree in Musical Theatre. In her final year she played Mary Pickford, The Biograph Girl in The Biograph Girl and Deb in Ordinary Days. Since then she has been working as a Musical Theatre Teacher in a Primary School and a Professional Choreographer for Dereham Operatic Society's production of Hairspray. Her theatre experience includes Fantine in Les Mierables, Nancy in Oliver and Viola in Twelfth Night. David graduated London College of Music back in 2014 where he was honoured to receive a First Class Degree in Musical Theatre. Since then he has toured the UK with a musical adaptation of Hans Christian Andersen's, Snow Queen and has also had the opportunity to tour Italy with Shrek the Musical, playing the short but mighty Lord Farquaad. David is looking forward to the opportunity of playing the role of Thomas; hopefully giving the audience a different perspective of someone that was not really “doubting” at all. Originally from Suffolk, Leah has recently graduated from the London College of Music with a BA (Hons) degree in Musical Theatre. While there in 2014 she was the female recipient of the Griffiths Prize for Musical Theatre. Roles in training include 'Annie' in John Cameron's musical adaptation of Alfie, and Anna/Vocal Captain in Spring Awakening. She has also been fortunate to work with Directors such as Richard Curtis for BBC's Comic Relief. 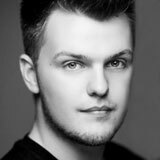 Andrew is from the North East of England and is currently in his final year of studying for a BA (Hon) degree in Musical Theatre at the London College of Music. During his time at LCM, Andrew has performed in such venues as St. Paul’s Church (Covent Garden), Westfield Shepherd’s Bush, Wembley Stadium and The Dorchester, Mayfair. 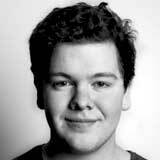 Andrew has also performed in Gilbert & Sullivan’s best loved operetta, The Mikado at the Charing Cross Theatre. This was directed by the acclaimed Thom Southerland and marked Andrew’s debut performance in a professional show in Central London. Joshua trained at the London College of Music. 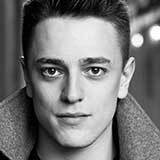 Credits whilst training include; Uncle Clam in 'Salad Days', Lewellen in the new Musical 'Bel-Ami' (Charing Cross Theatre) and Jerome/Dance Captain in 'Merrily We Roll Along'. 'Lights! Camera! Action!' (Battersea Barge) Joshua is also a member of Enchorus. Johnny began studying musical theatre at Stratford-upon-Avon College at the age of 17 and after three years received a BTEC National Diploma in Performing arts. 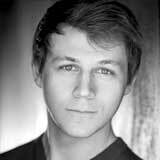 He then continued his studies at the London College of Music graduating in 2014 with a 2:1 Degree in Musical Theatre. Johnny’s theatre experience includes: Dickon (The Secret Garden), Willard (Footloose), Bitzer (The Biograph Girl), George Dury (Bel-Ami - The Musical) and Jason (Ordinary Days). Benny is a born and bred West Countryman, who has just completed his BA (Hon) degree training at the London College of music. During his musical theatre training Benny has been seen on BBC’s Comic Relief and has excelled at Voice Acting and Dance in which he has featured as Dance Captain in 2 shows. 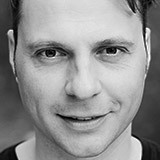 Benny is also an experienced presenter and DJ for Blast FM and has worked professionally on various film shorts and ADR. 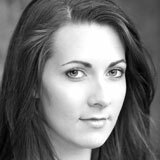 Claire Hutchinson is an LCM Musical Theatre Graduate with a BA (Hon) in Musical Theatre. Since her graduation she has become a member of a 50's style accapella quintet called The Buttercups, who have had a successfully year performing in Paris, the Bath Music Festival and London. In the summer of 2015 she worked as stage manager and all female roles’ understudy for a UK tour of A Midsummer Night's Dream. Claire is also a member of the Supercalifragalistique cabaret company cast who regularly perform creative and fresh new themed cabarets in London venues. 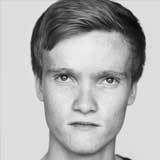 Coby has had a keen interest in musical theatre and acting from a very young age joining his first amateur dramatic group at the age of 6. Most recently he has appeared in BBC’s Comic Relief (2013) and ITV’s The Xtra Factor (2013). 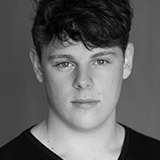 He has also played the lead in the MET film Amazing Charlie and is currently in his final year at the London College of Music studying for a BA (Hons) degree in Musical Theatre. During his studies at LCM Coby has played the role of “Humphry” in Alfie- The Musical and has just finished playing the role of “Leaf Coneybear” in The 25TH Annual Putnam County Spelling Bee. Ennio was born and raised in Trieste Italy. He started his singing training at the Conservatory of Music in his hometown while at the same time appearing in more than forty productions for the regional Opera theatre (Fondazione Lirica G. Verdi). Ennio played Jesus in a concert version of Jesus Christ Superstar and directed the show Behind The Wall which was inspired by Pink Floyd’s album “The Wall.” In this production he also played the lead role of Pinkie. Ennio then moved to London where he completed his training in Musical Theatre at Central School of Speech and Drama. Since leaving college he has performed in different shows around Europe and the UK including The Thursford Christmas Spectacular, Fingask Follies and The Zirkus d’Offmann. Ennio has also worked as an actor on stage at the Royal Opera House. 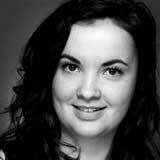 Niamh trained in Musical Theatre and Acting at the Royal School of Speech and Drama, returning a few years later to follow her true calling and passion of voice work; gaining her MA in their renowned Voice Studies Course. Since graduating Niamh has been working freelance as a voice coach, with clients from the Voice UK and the Royal Shakespeare Company and also professionally at the London College of Music as a Vocal Tutor. Craig Kenneth Smith is really excited to be joining the cast of Risen! The Musical. 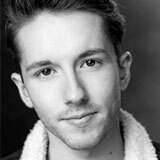 Craig graduated from London College of Music based in the University of west London with a BA (Hons) degree in musical theatre in July 2015. 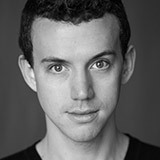 Craig has starred in Alfie the musical and most recently Spring Awakening as the character of Ernst. 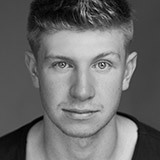 Casey started his professional training, studying Musical Theatre at the London College of Music in 2012. During his training, Casey gained a variety of exciting production credits including Georg in Spring Awakening and George in Alfie: The Musical. Since graduating with a First Class Honours in 2015, Casey has played a variety of roles, most recently the role of Timothy Smallthumb in Parish Fete-ality, a New Fringe production at the Alma Theatre in Bristol, which will later play in Brighton, London and the Edinburgh Fringe festival. Casey is delighted to be cast as the role of Cleopas’ Friend in Risen! The Musical and is extremely honoured to be surrounded by such a great cast and team of creatives. 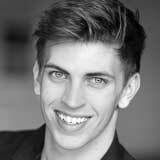 Jamie Leeke trained at the London College of Music, gaining his BA (Hons) in Musical Theatre in 2014. During his training Jamie played a variety of roles including Epping in The Biograph Girl, Geoff Moon in the new musical Bel-Ami and a various roles in Oh, What a Lovely War!. He also had the opportunity to perform as Matthew Gray in Grim: A New Musical at the Rose Theatre, Kingston. Upon his graduation Jamie began his first professional contract aboard the MV Voyager cruise ship, staying with the ship for 10 months. He re-joined the ship last November and spent a further 3 months on board with the company. 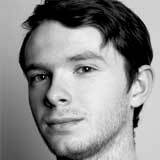 Aaron is currently in his 2nd Year doing BA (Hons) Musical Theatre at the London College of Music and is thrilled and excited to be part of the London Touring cast of Risen! The Musical. He hopes you enjoy this show as much as the cast does! 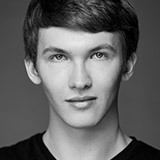 Aaron is currently in his second year studying Musical Theatre at the London College Of Music. 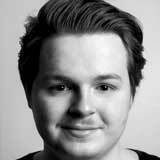 Aaron, originally from Gosport, has had many roles in amateur level productions such as: Sweeney in Sweeney Todd, Seymour in Little Shop Of Horrors, Nick in Fame and most recently Marius In Les Misérables. He can’t wait to perform so close to his home town again and hopes you all enjoy the show! 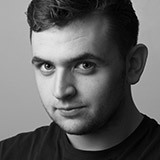 Adam is currently in his second year studying Musical Theatre at the London College of Music. Adam, originally from Bognor Regis, has played many leading roles such as Sammy in The Wedding Singer, George in the Drowsey Chaperone and most recently, Billy in Anything Goes.